Is The Marriage of Figaro just about Figaro? Is Don Giovanni’s story the only one—or even the most interesting one—in the opera that bears his name? For generations of critics, historians, and directors, it’s Mozart’s men who have mattered most. Too often, the female characters have been understood from the male protagonist’s point of view or simply reduced on stage (and in print) to paper cutouts from the age of the powdered wig and the tightly cinched corset. It’s time to give Mozart’s women—and Mozart’s multi-dimensional portrayals of feminine character—their due. In this lively book, Kristi Brown-Montesano offers a detailed exploration of the female roles in Mozart’s four most frequently performed operas, Le nozze di Figaro, Don Giovanni, Così fan tutte, and Die Zauberflöte. Each chapter takes a close look at the music, libretto text, literary sources, and historical factors that give shape to a character, re-evaluating common assumptions and proposing fresh interpretations. Brown-Montesano views each character as the subject of a story, not merely the object of a hero’s narrative or the stock figure of convention. From amiable Zerlina, to the awesome Queen of the Night, to calculating Despina, all of Mozart’s women have something unique to say. These readings also tackle provocative social, political, and cultural issues, which are used in the operas to define positive and negative images of femininity: revenge, power, seduction, resistance, autonomy, sacrifice, faithfulness, class, maternity, and sisterhood. Keenly aware of the historical gap between the origins of these works and contemporary culture, Brown-Montesano discusses how attitudes about such concepts—past and current—influence our appreciation of these fascinating representations of women. 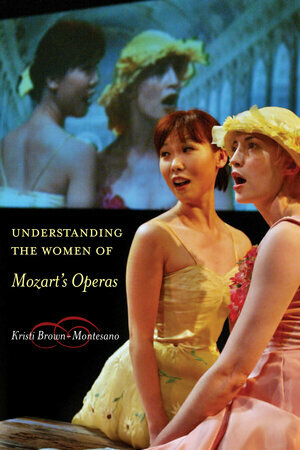 Kristi Brown-Montesano is head of the music-history faculty at the Colburn Conservatory in Los Angeles, California.